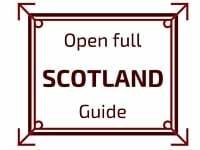 The Northern Isles of Scotland are wild and rich in Nordic history. 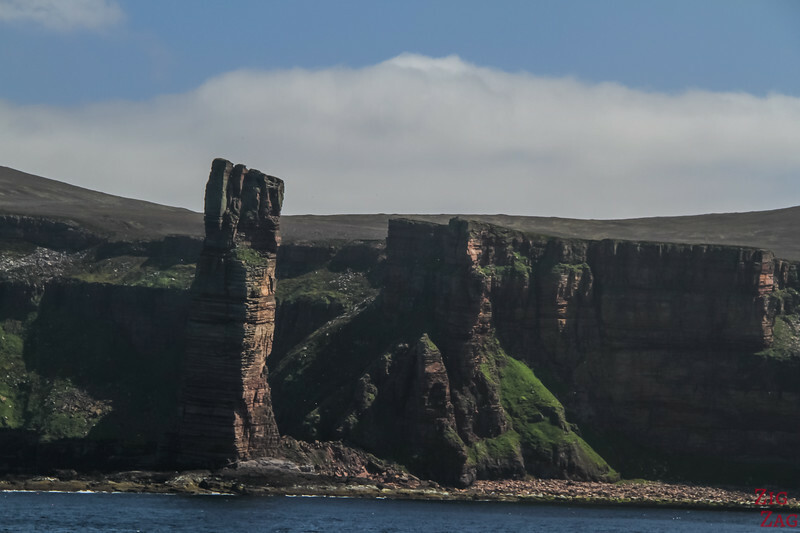 On the Ferry to Orkney you are already rewarded with views of magnificent cliffs and of the Old Man of Hoy, one of the most famous sea stack in Scotland. 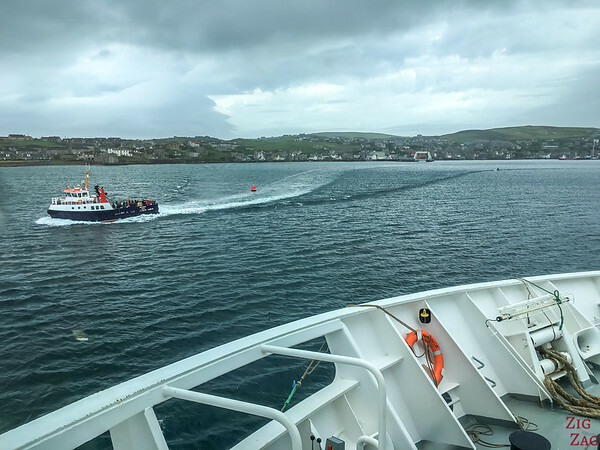 The Ferry to Orkney leaves from Scrabster (near Thurso) and arrives at Stromness (South West of Mainland Orkney). 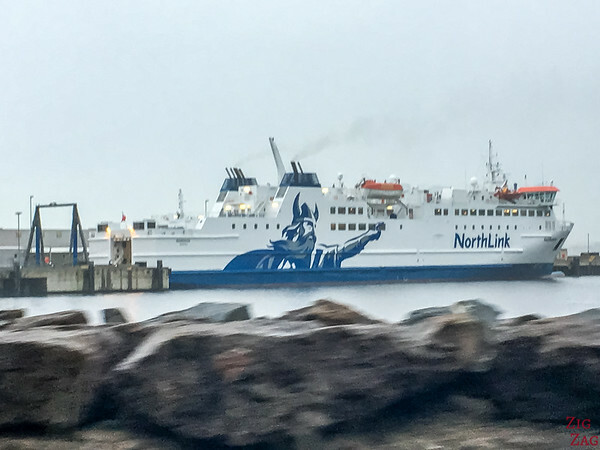 The Ferry is operated by NorthLink Ferries - 3 times a day during weekdays of Peak season and otherwise twice a day - find out their schedule here. The ferry ride from Scrabster to Stromness takes 1h30 on water but 2h30 with boarding and arrival. 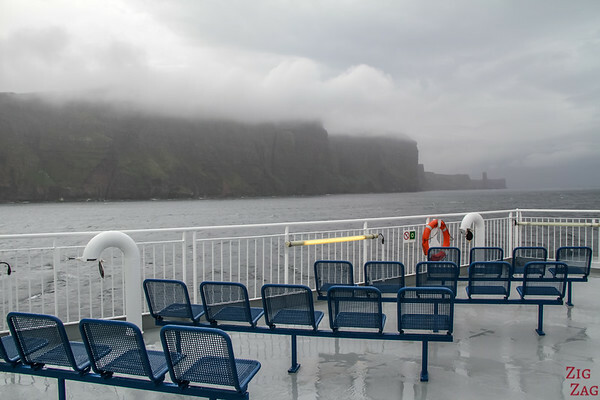 You can do a day trip to Orkney by taking the 6:30am in and the 7PM return ferries. It will eave you 9 hours on the island - or you can stay overnight, or longer. Access to the Ferry to Orkney is easy. Even in the fog, there is no difficulty to reach the terminal. Just stay in your car, show your registration at the booth and queue to board. 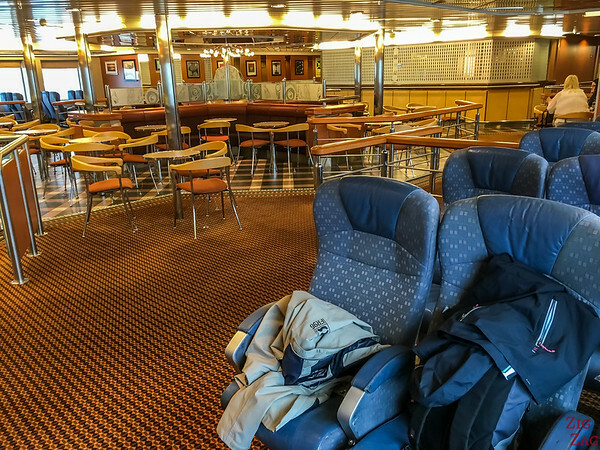 The facilities inside the NorthLink Ferry to Orkney are quite nice. Not all is always open, but there is shop, bars, restaurant and lounge for those who want to upgrade. There are also smaller side outside areas. 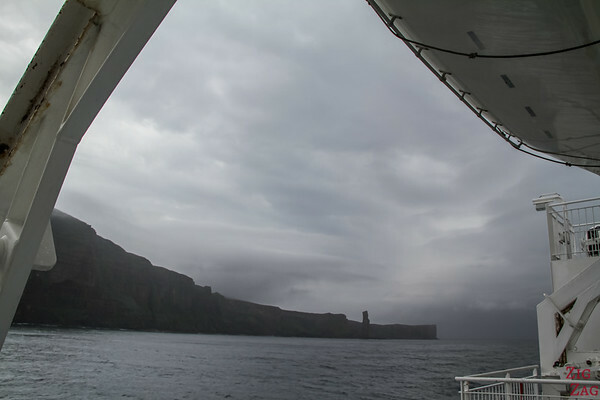 As you can see on the Map above, the ferry to Orkney gets close to the Isle of Hoy. Its North West Head display steep wild cliffs. 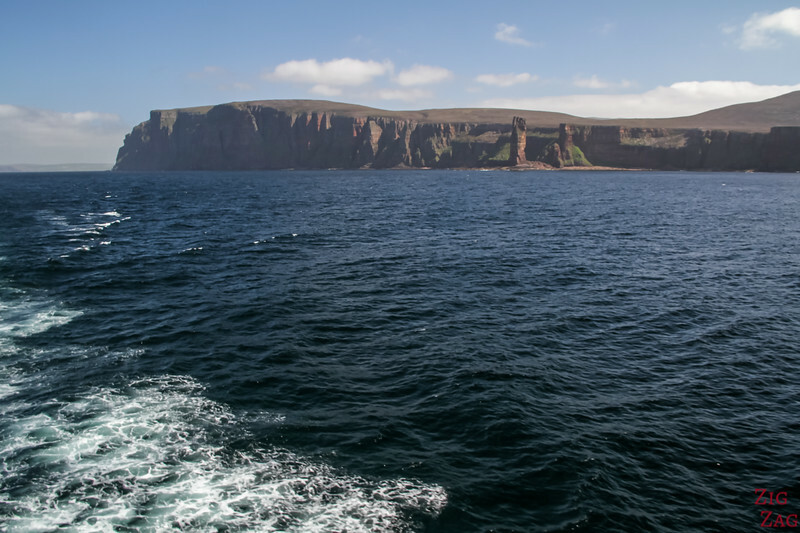 The Isle of Hoy is the second largest in the Orkney archipelago ( 143 km2 / 55mi2). 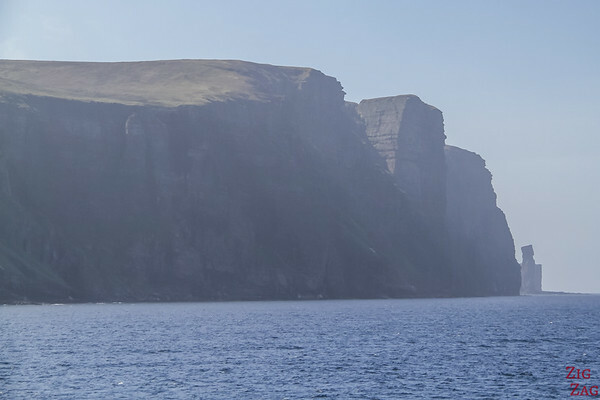 Some of its sea cliffs reach a height of 350 meters. 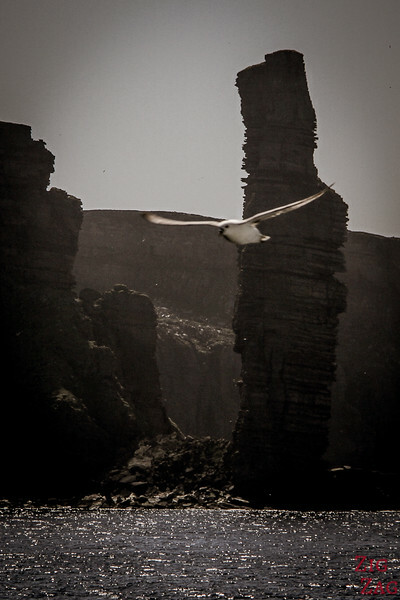 Hoy is also famous for its abundant birdlife. 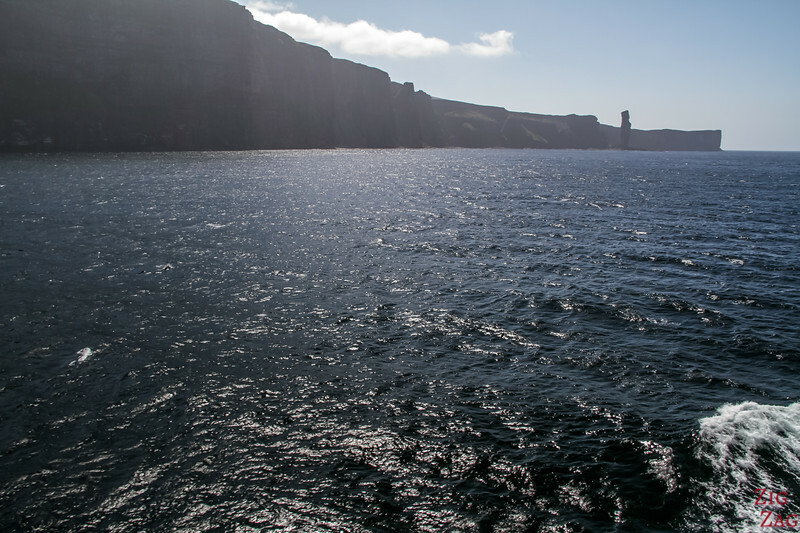 The Most famous location on the Isle of Hoy is the Old Man of Hoy. 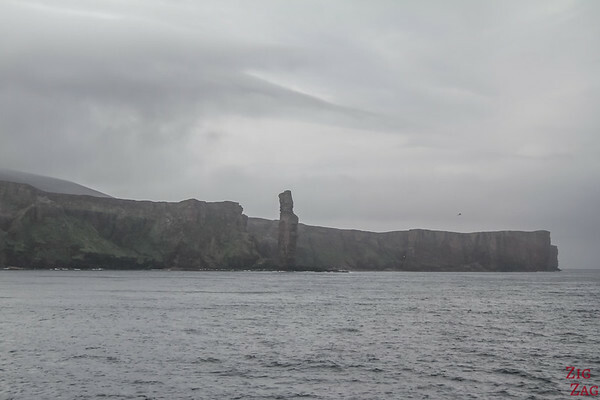 It is a 137m high sea stack (449ft) on the North West Coast of the island. 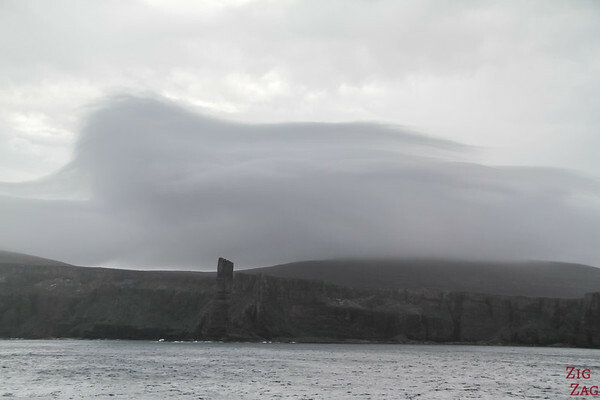 You can see it very well and for a long time from the ferry to Orkney. 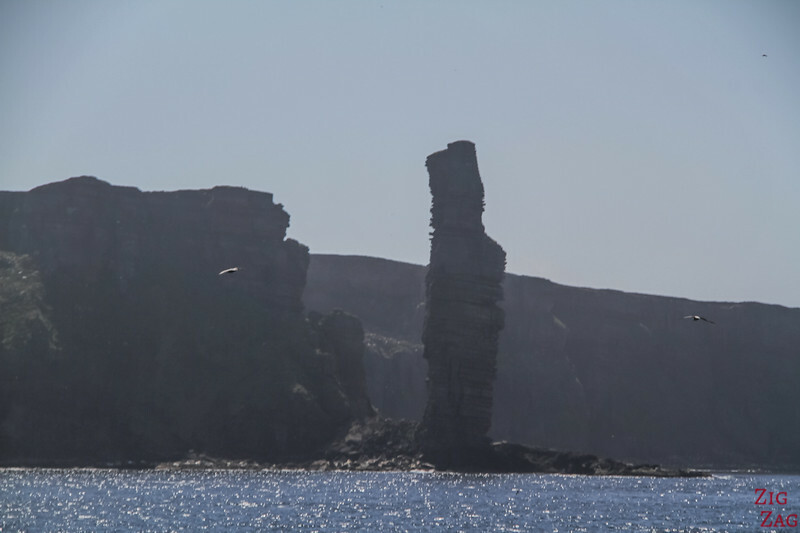 The Old Man of Hoy is made of red sandstone and was created by erosion some time around 1750. It is separated from the island by 60 meters (200ft). IT is very popular with climbers and can also be admired from the island. But the best view is from the Ferry. Good to see it before it collapse into the sea. 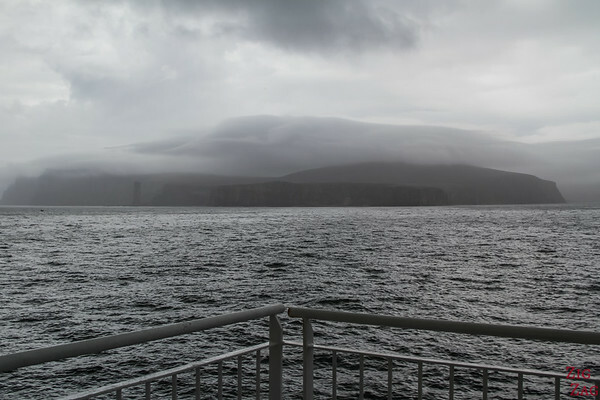 The ferry ride goes very fast with such beauty to see. It is then time to arrive at Mainland Orkney, right in the town of Stromness.